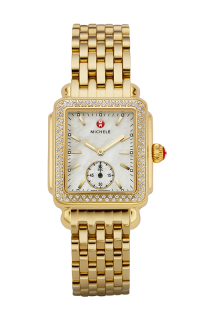 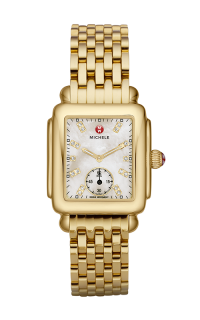 Together gold plating and the shining silver-tone of stainless steel give a chic look to MICHELE's iconic collection. 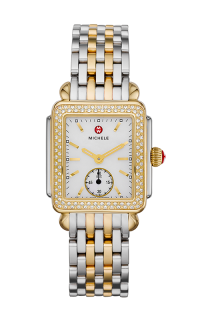 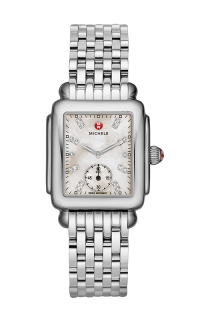 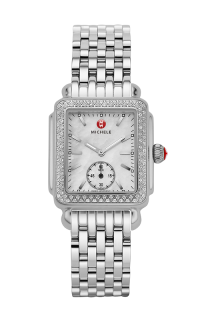 With diamonds indexes and signature MICHELE touches, the Deco 16 Two-Tone is a must for any watch lover. 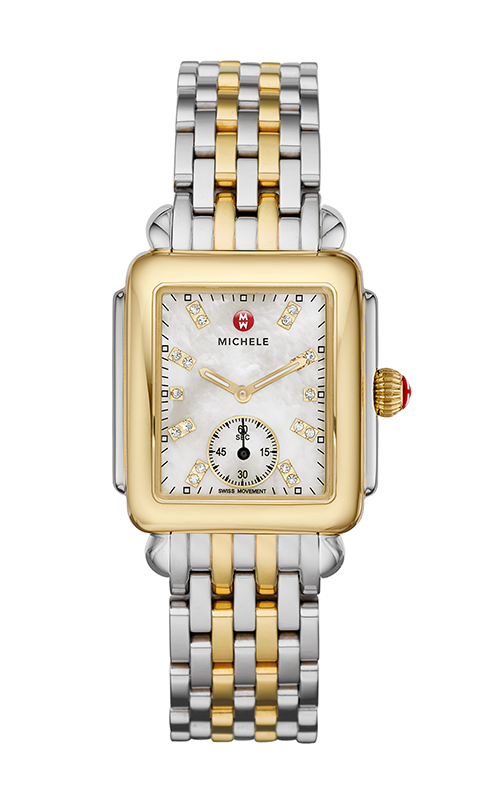 The two-tone stainless steel bracelet is interchangeable with any 16mm MICHELE strap.